But if you’re an ICT teacher or leader, then being a maverick is not without risk. Some of the things you do or introduce are bound to raise a few eyebrows. (And if they don’t, well I’m not sure you’re worthy of the description ‘maverick’!) For example, let’s suppose you have a Twitter stream or Facebook updates continually running in your lessons, so that every so often you can ask your followers or ‘friends’ what they think about something and then feed that back to the class. Sooner or later, someone is going to complain that you’re dealing with your social networking activities instead of working. Or suppose you decided, like I used to when implementing project-based learning, that if you can’t work for two hours without a break then why should you expect your pupils to? What would an Ofsted inspector or the Headteacher say if he or she happened to walk in when a couple of the kids were having a chat instead of staring at a screen? It seems to me that while being a maverick and being careful by exercising common sense may be something of a contradiction in terms, it’s something you need to do – if only to help ensure that you’re permitted to carry on being a maverick. This doesn’t have to be in a formal format: I’m not talking about using Prince 2 project management documentation or anything like that. Just a note about what you did, and why, and what the outcomes were. This could even be in the form of a blog. Doing maverick-type things is often, in effect, like turning your classroom into a science laboratory. You need to keep records of not only what you do, but the results of doing it, even if the data is not quantitative as such. For example, if as a result of running your Twitter stream the pupils were, you think, much more engaged in their work, and more aware of the need to be careful from an e-safety perspective, then surely those things are worth noting. Also, of course, if as a result of your maverick activities the pupils seem to be suffering worse outcomes than before, then maybe you should stop doing them, and try something else instead. Believe it or not, most people are not mind-readers: you may think running ab Twitter or Facebook stream in your lessons is the most natural and obvious thing in the world, but not many people would agree. You may balk at the idea of asking permission to do stuff before you do it – I’ve heard people say that it’s easier to apologise than to ask permission. However, if you are going to adopt that approach then you should at least share with pupils what you are trying to do, in order to pre-empt them from making a complaint about you! This is to address that last bullet point. Probably this should be right at the top of this list. You need to think about what you hope to achieve, and then think about, and head-off, potential objections. For example, you may decide to run a limited pilot, with pupils who are either so brilliant that their exam success is virtually assured, or with those who are struggling so much that you’re more likely to help rather than hinder by doing something completely different. Such a pilot should have a limited duration, at the end of which it should be evaluated. Going to the Head with such a proposal, well-thought out even though there’s an element of uncertainty, is better than having to explain yourself while you’re being giving a drubbing. It will also enable you to come across as someone who has thought things through, rather than someone who had an idea in the bath last night. 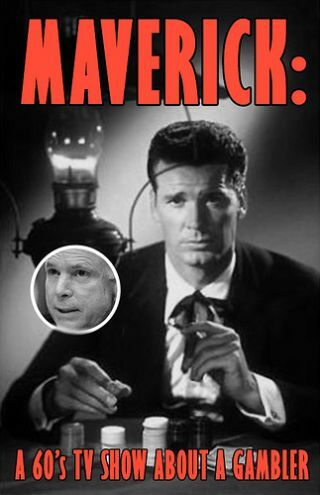 All very boring, I know, but being a maverick doesn’t have to mean putting yourself in the firing line unnecessarily.